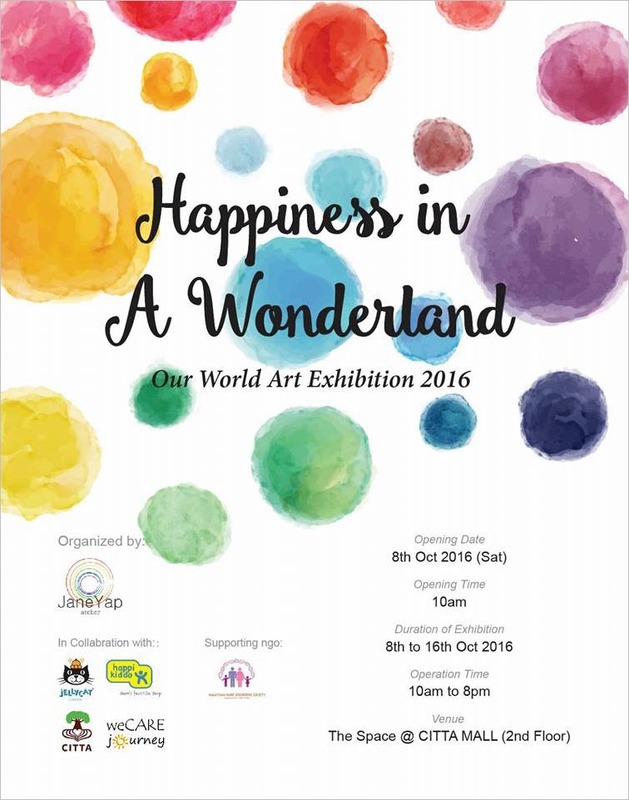 TimeTec has made a donation to Malaysia Rare Disorders Society through “Happiness in A Wonderland” art exhibition by purchasing an art and a bunny on 8 October 2016. The proceeds raised from the auction were channeled to Malaysia Rare Disorder Society (MRDS) to support children suffering from spinal muscular atrophy for their medical needs. Spinal Muscular Atrophy (SMA) is a group of genetic disorders characterized by muscle wasting and loss of motor function caused by mutations in the SMN1 gene. Inheritance of the mutation happens by chance and is not due to anything either parent did or did not do before or during pregnancy. There is currently no known cure for SMA and patients with SMA require breathing aids, feeding tubes, surgery for scoliosis, standing and mobility aids to help increase independence of SMA’s patients. For further information about the disease and how you can contribute, go to www.mrds.org.my. A little help means a lot to people in need.